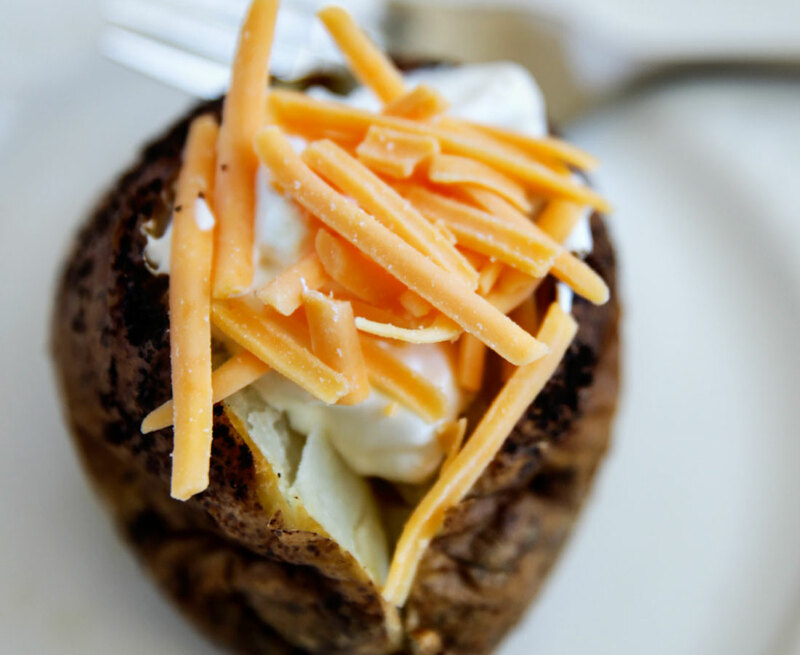 Using your air fryer to make baked potatoes is the ultimate – it makes the skin on the outside crispy and the inside perfect. They also take less time to bake than in the oven. Bonus! The only thing I ate from my sophomore year of college and on was either bow tie pasta or baked potatoes. Hmmm…. I can’t imagine why I gained some weight. Potatoes became my go to meal. I loved how easy they were to make and how I could add whatever I wanted to change the taste. Then I discovered that I could make them in my air fryer. Even better! Wash potatoes under cold water with a stiff brush. Dry potatoes with a kitchen towel. 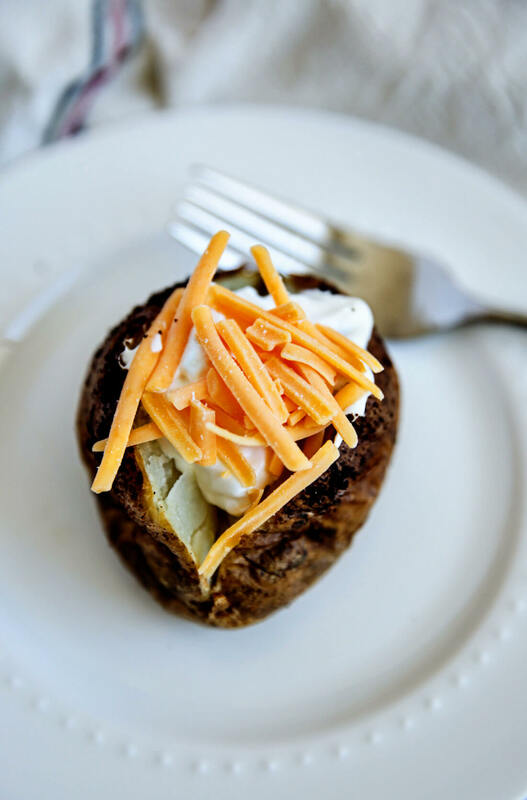 Poke holes using a fork around the potato. 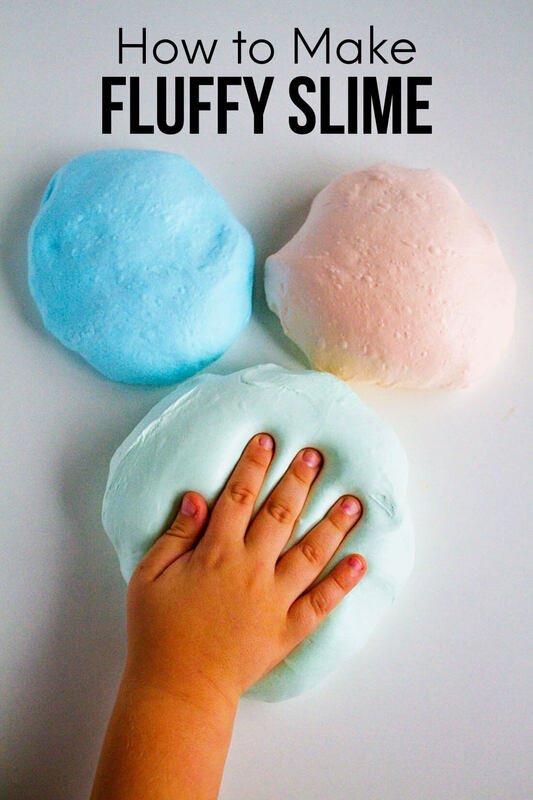 This allows moisture to escape during the cooking process. Much like an IP, get one that has as a big basket. The bigger the basket, the more you can make. Get one that is digital NOT a dial one. 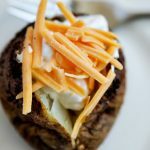 Air Fryer Baked Potatoes are the ultimate - the air fryer makes the skin on the outside crispy and the inside perfect. They also take less time to bake than in the oven. Bonus! 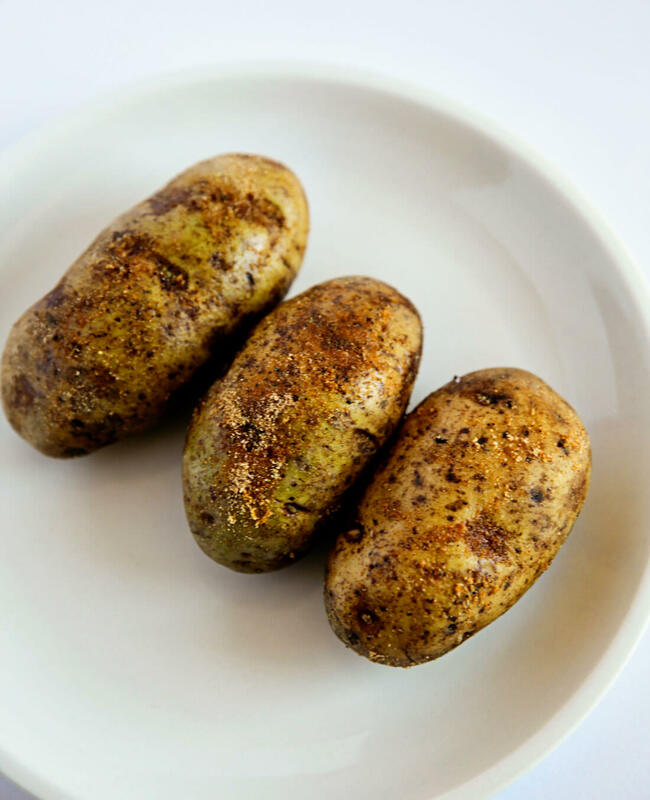 After washing and drying potatoes, poke holes into them with a fork. Rub potatoes with olive oil and sprinkle salt over the top. Place into the basket of your air fryer, making sure that there is enough space for the air to circulate. DON'T OVERCROWD. Set your air fryer to 390 degrees and 30 minutes. Cooking time depends on the size of your potatoes so at 30 minutes, open the air fryer basket and press to see if it has baked enough. If it is firm, continue to bake for 10 minutes. When done, cut open, top with butter, cheese, sour cream, etc.